Android smartphones are becoming cheaper day by day. This is mainly because of the tough competition in the smartphone market. A common or simple mobile phone user may look for the cheapest and best smartphone. There are lots of products available for cheapest rates. These products vary in the specifications and quality of the hardware. Best Buy Android Smartphones for Rs4000 – latest Android device,best specifications worth the price. If you are looking for the smartphone at the cheap budget price tag of Rs.4000 in India. Or you are planning to get your first Android-powered cheapest smartphone for Rs.4000 price range. Then this post is for you. 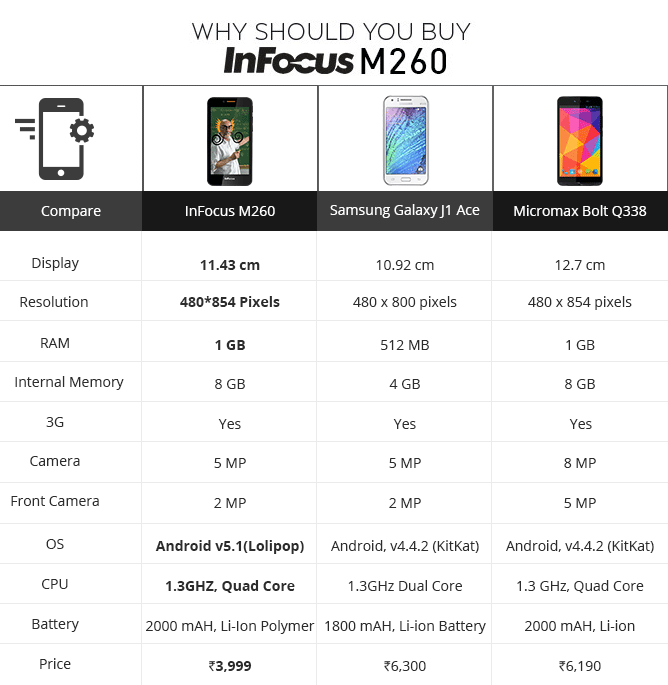 Infocus M260 is one of the best-reviewed cheap smartphones available for Rs.4000. The product has got very good rating by thousands of satisfied customers. Infocus M260 comes with 4.5-inch display, powered by 1.3 GHz Quad Core Processor and 1GB RAM. This device has got a 5 MP rear camera and 2MP front camera. 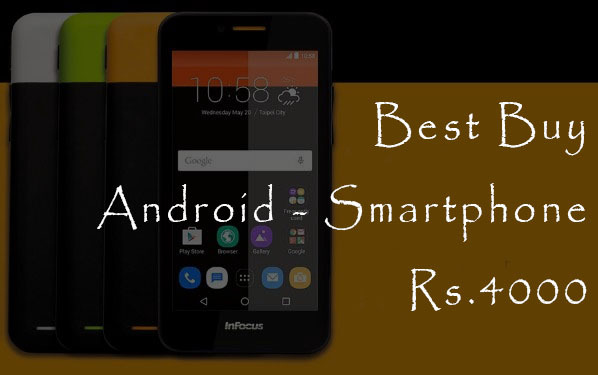 Infocus M260 is definitely one of the best buy Android smartphone under Rs5000.